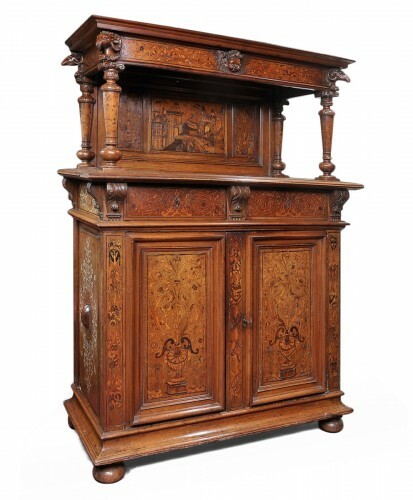 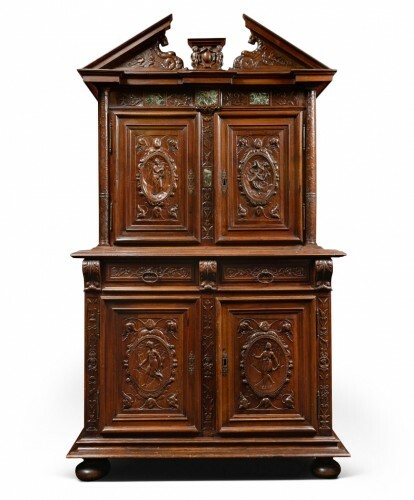 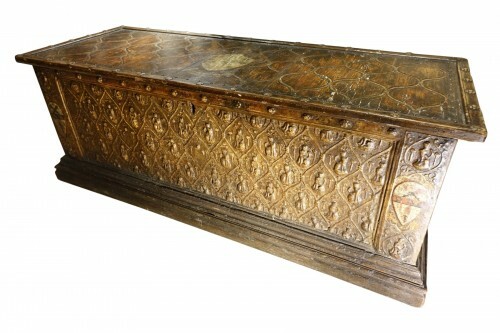 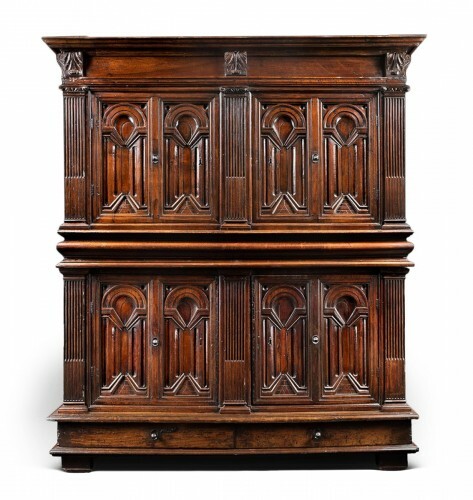 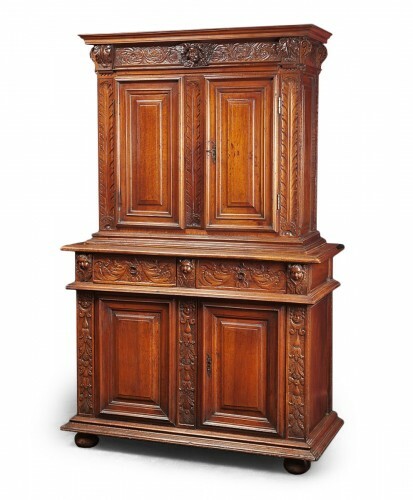 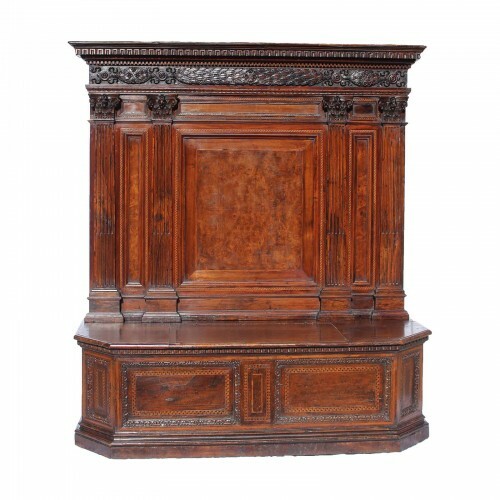 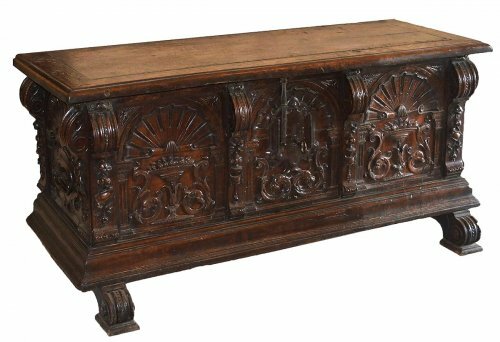 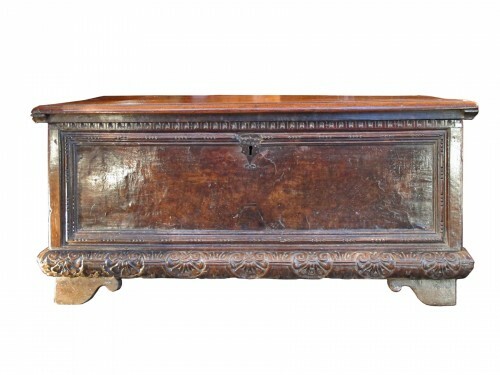 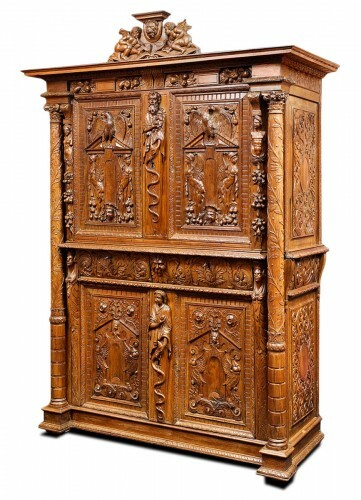 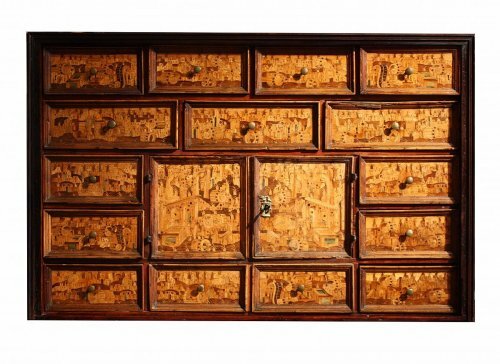 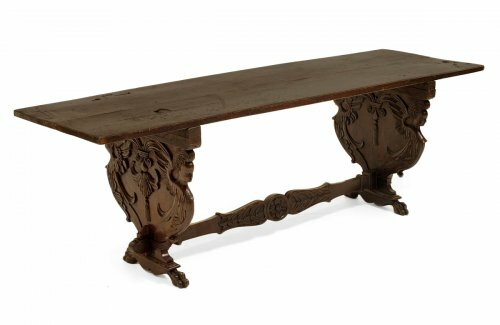 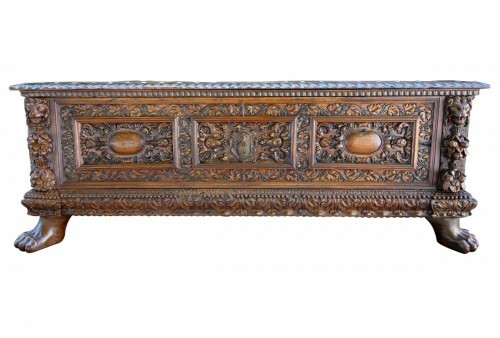 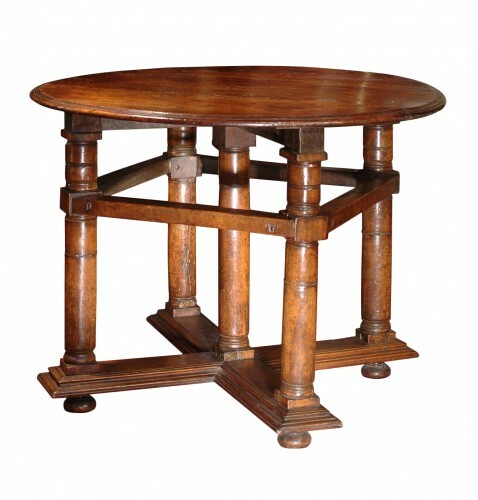 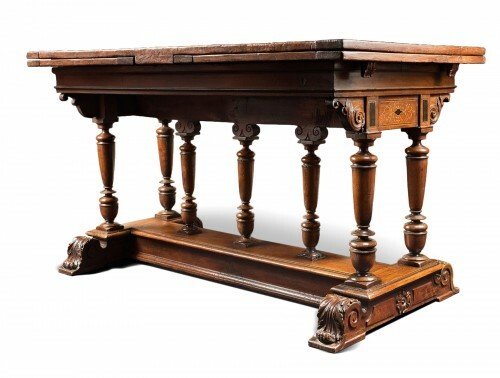 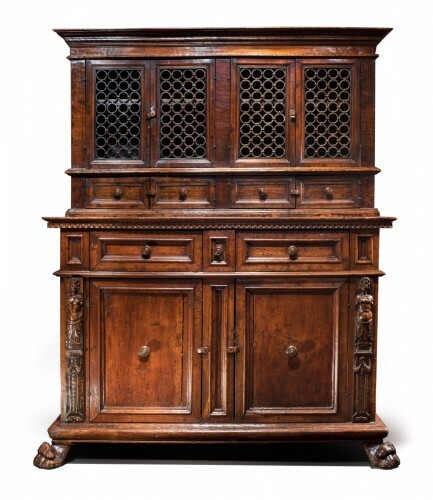 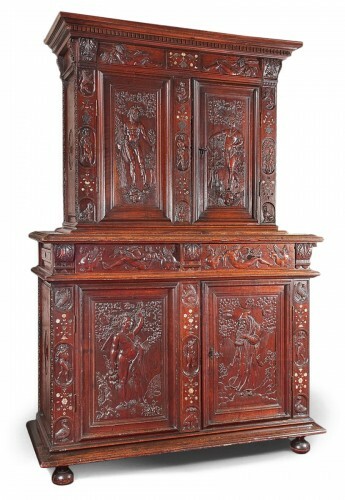 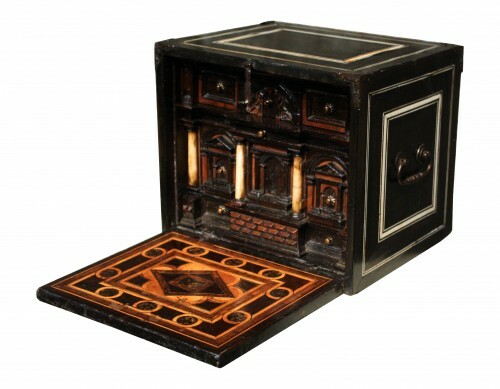 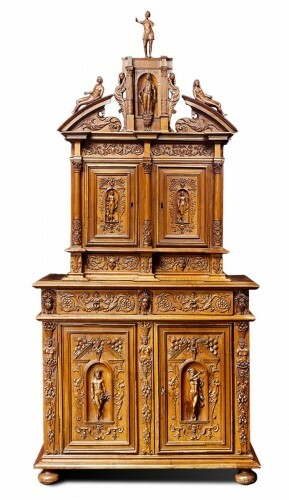 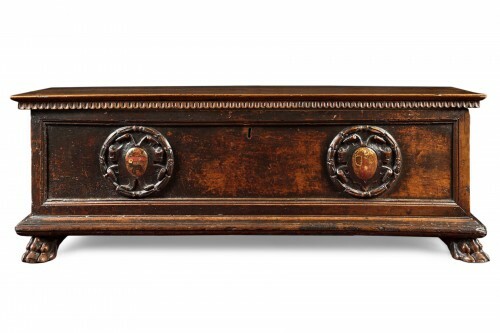 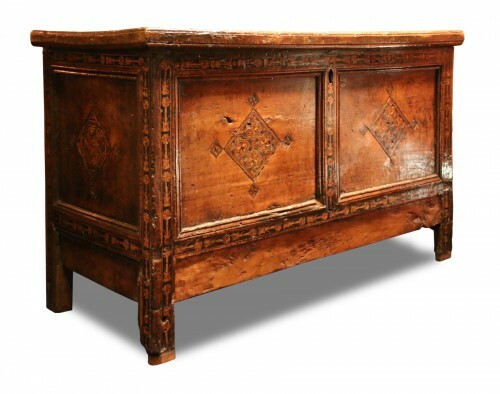 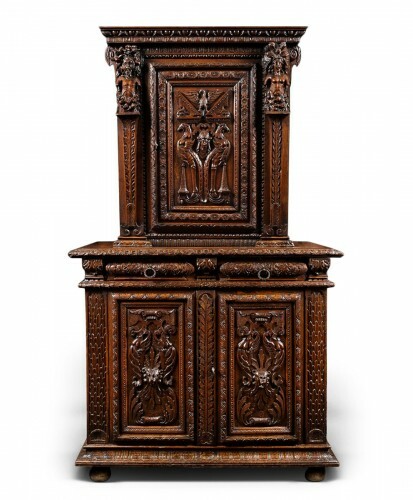 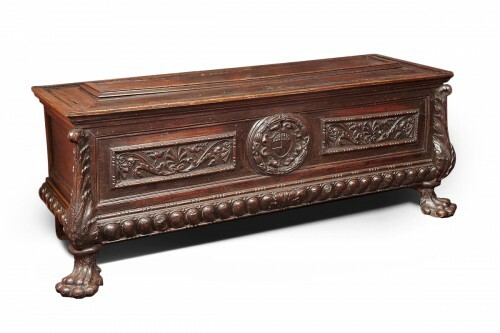 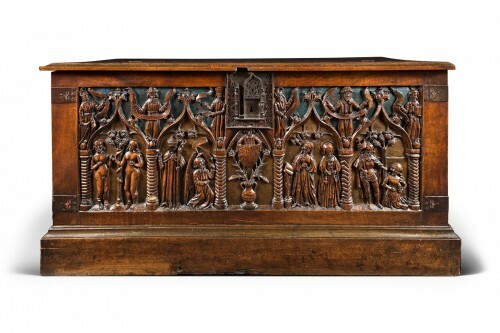 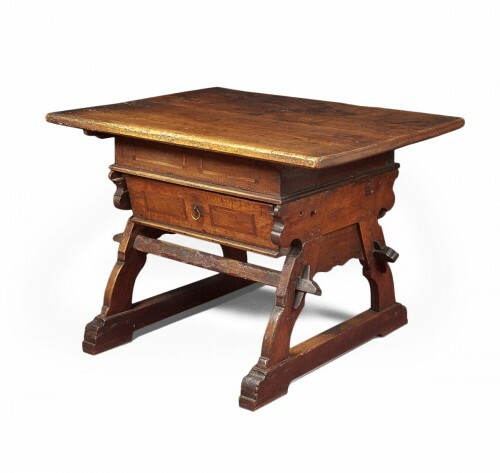 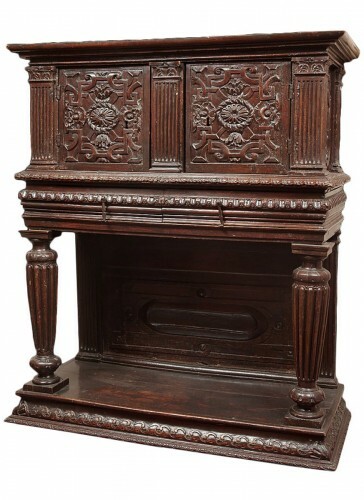 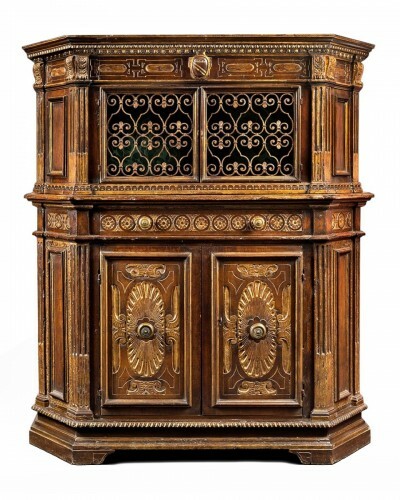 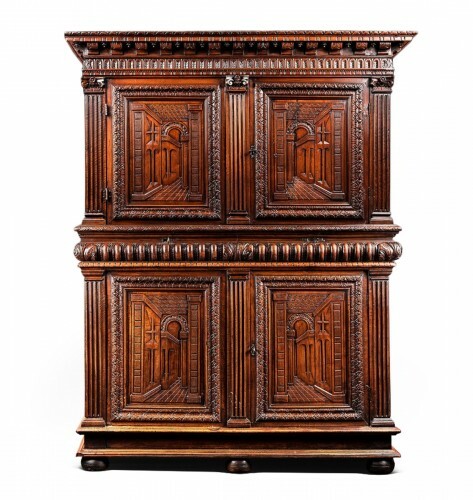 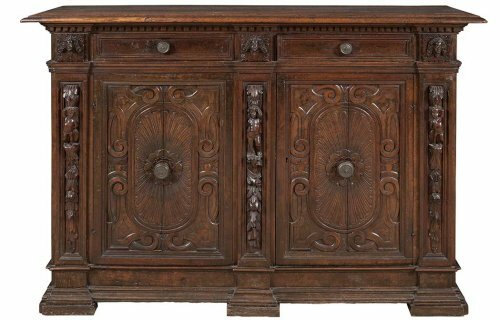 Renaissance-period furniture incorporated the characteristics of the contemporary architecture. 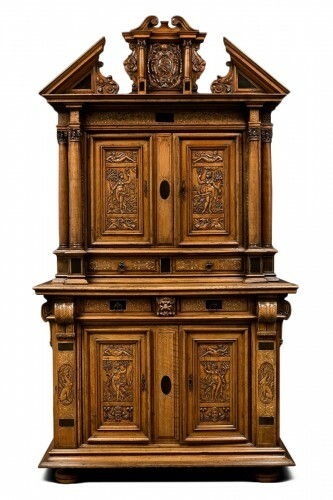 Joiners were profoundly inspired by architects. 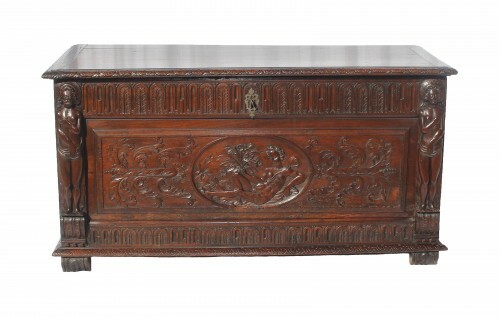 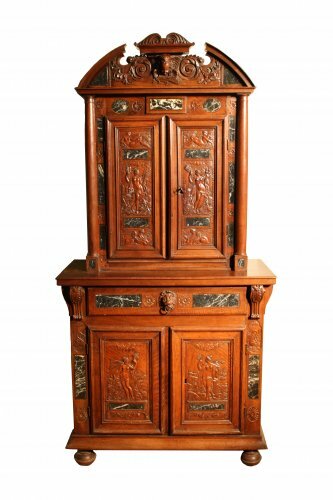 Furniture featured French design with decorations of Italian inspiration. 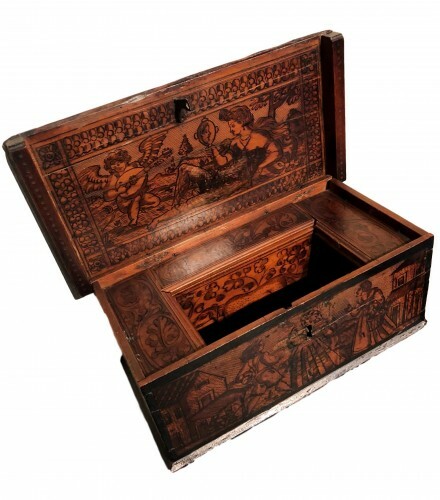 From 1540, it was clearly inspired by ancient art. 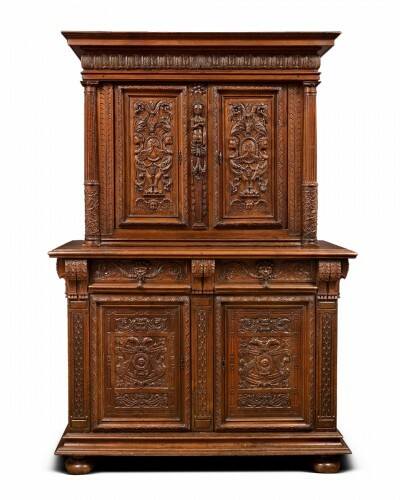 The armoire replaced the trunk, and the cabinet replaced the buffet. 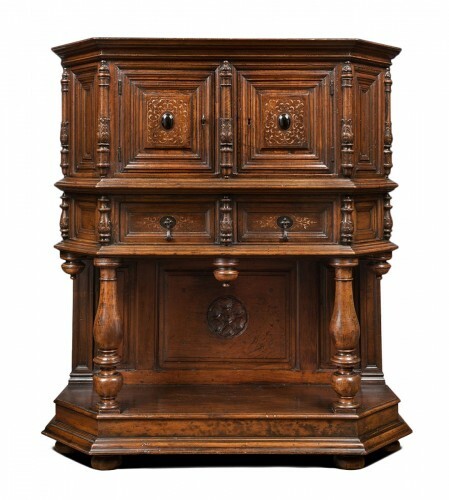 These two new furnishings were adapted to regional tastes and fashions. 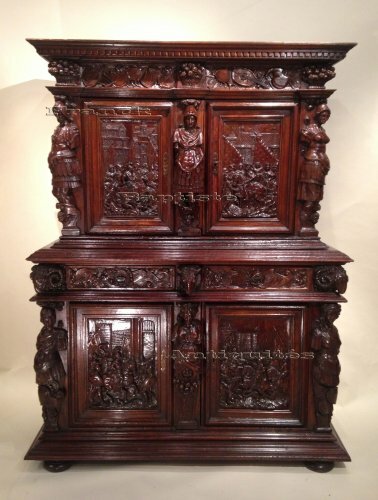 New chairs made their appearance during the Renaissance: the scabelle, the selle, the placet, the caquetoire. 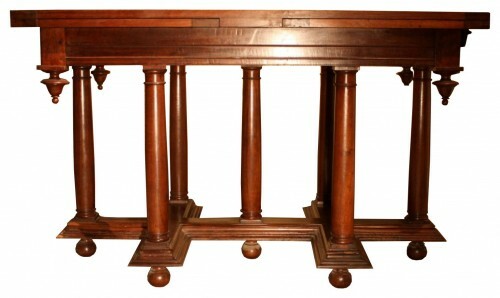 Stalles were paired chairs, placed on either side of the choir in a church. 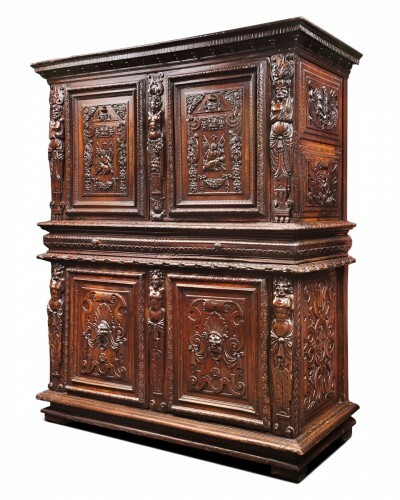 The woods most often used were oak, walnut and ebony veneer.